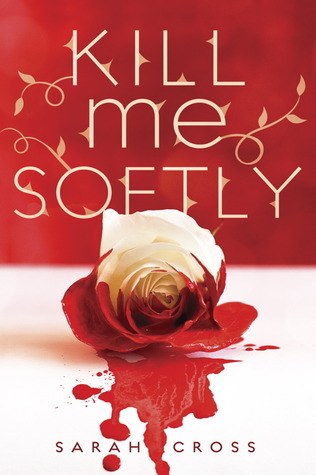 Kill Me Softly by Sarah Cross Review - My Life Is A Fairytale That Will Never End. You. Girls. This. Book. Will. Left. You. Totally. In. Awe. Because seriously. It's beautiful. It's so so beautiful. As a girl, with the word fairytale in her blog title, this book was everything I wanted and wished for and more. I picked it up, because of the romance, but I was left with an incredible desire for more fairytales and more daydreaming about them. This book wasn't about romance at all (well, at least not as much as I thought it was). 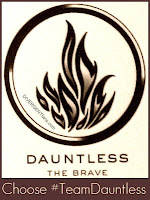 This book was about fate, courage, risks, friendship, and so much more. It's about a girl which leaves her home to find her parents grave. A girl how's searching for closure. A girl who is searching for the truth and peace. And discovers a totally new world around her. Mira. She is so courageous. She left in the middle of the night one week before her 16th birthday to go searching for the grave of her parents. Alone. With no plan. If that isn't badass, then really, I don't know anything at all. And she comes in a new town with totally different people living there. And even when Blue threatened her to leave the town for good, she doesn't give up on her dreams and stays. True, she made some bad decisions, but it's also true that she faced the consequences with her head held high. This book is about fate and about people who struggle to fight the fate in their life. But as they say, »Our lives are like that. It feels like we can do what we want—but if we venture in a new direction, fate pulls us back. We can rebel, but we all know we’ll fail. Which doesn’t stop us from trying, I guess.« But, as I said, this is fairytale land and sometimes we just need some faith and hope for things to change for better. And we should always believe in magic. "It was hard to be honest, to open up, and reveal something that sounded crazy. Because once you told someone the truth, that person had a piece of you—and they could belittle it, destroy it. They could turn your confession into a wound that never healed." "You couldn’t hide from bad things and pretend they didn’t exist—that left you with a dream world, and dream worlds eventually crumbled. You had to face the truth. And then decide what you wanted." "A naked blade hid nothing, feared nothing. She wanted to be like that. Because that was how you found yourself, created yourself. You didn’t hide. You didn’t wait for the perfect moment to settle on you like a butterfly, like magic. You went out and made magic. 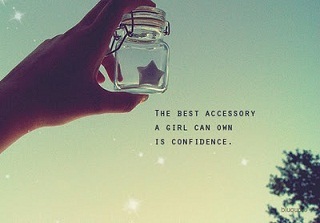 Made your own wishes come true." I'm so glad you like this book so much. I've got it on hold in my local library and I can't wait to get my hands on it. Like you, I adore fairy tales. I basically grew up on the weird, twisted ones. The second quote is just amazing. Your review is great! Oh wow, this sounds amazing. I love the idea of a town ridden by fairy tales. Sounds like my kind of fairy tale story...much darker and interesting, and with romance to go with it! Glad you loved it this one. I love that she goes to look for her parents grave. Blue tries to chase her away? Jerk! LOL I'm glad they work through it. Sounds like it has beautiful writing and a Mia has a lot of courage. Nice review!